Get your 2 for 1 Pass to see Satellite Boy! As a thank you for choosing reuse, we’re offering customers a 2 for 1 pass to see the new film Satellite Boy with purchases $10+ of reuse materials from Reverse Garbage! 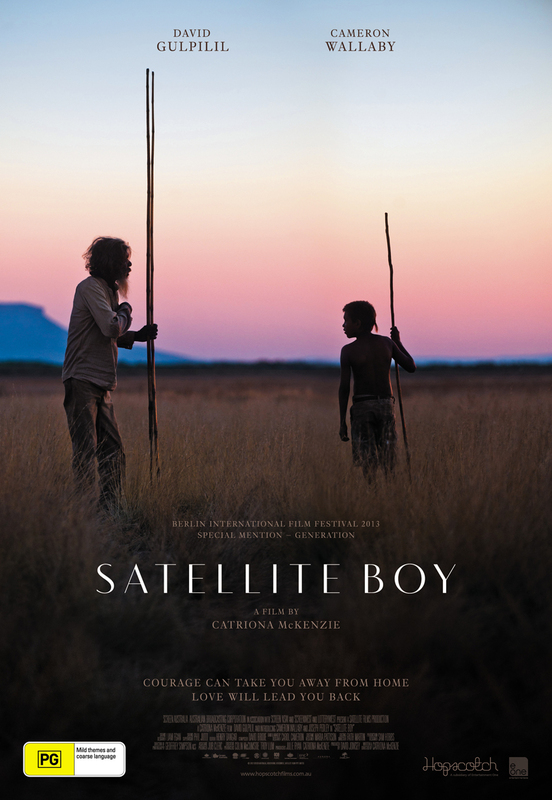 Satellite Boy follows Pete (Cameron Wallaby), a 12-year-old Aboriginal boy who lives with his grandfather, Old Jagamarra (David Gulpilil), in an abandoned outdoor cinema in the outback. When it is threatened with demolition, Pete sees his world in jeopardy and sets off for the city on a quest to save his home, joined by his best friend Kalmain. Together the boys travel through epic and stunning Kimberley country, where Pete must remember the old Aboriginal bush skills his grandfather taught him for them to survive. Fable-like in its storytelling, Satellite Boy shows a world torn between old and new, tradition and progress, nature and technology, and celebrates the importance of family, true friendship and cultural identity. Sydney cinema locations: Dendy Newtown & Palace Verona. Please ask for your 2 for 1 pass when paying at our front counter. Previous Previous post: Support reuse – RG ReStore items at Reverse Garbage! Next Next post: John Howard at The Addison Road Centre!